"We will learn from our mistakes and we are still top of the group so we are good." 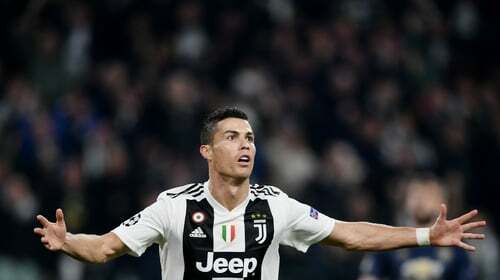 Cristiano Ronaldo believes Juventus should have beaten Manchester United "easily" on a night when the forward's breathtaking volley counted for nothing. After outclassing Jose Mourinho's men at Old Trafford a fortnight ago in a win far more comfortable than the 1-0 scoreline suggested, the Serie A giants looked set to defeat them again. Ronaldo's exceptional volley against his former side left onlookers rubbing their eyes in disbelief - as did the late United comeback that would see the visitors seal a remarkable 2-1 win in Wednesday's Champions League encounter. "I have seen the replay in the dressing room," he told Viasat. "I didn't realise it was a fantastic goal, but I did good movement and I kick with the ball strong. "I was happy for the goal but we are a little disappointed because we should have won the game easily, by three or four goals. "Manchester, they didn't do much, in my opinion. They created two chances, set pieces, I know the English teams they are always looking for the set pieces. "But we will learn from our mistakes and we are still top of the group so we are good." "We dominated the match, we had more chances and we could have finished it off," the Portuguese added. "Manchester did nothing to deserve the win, it wasn't even lucky because you make your own luck. It was just our present to them."